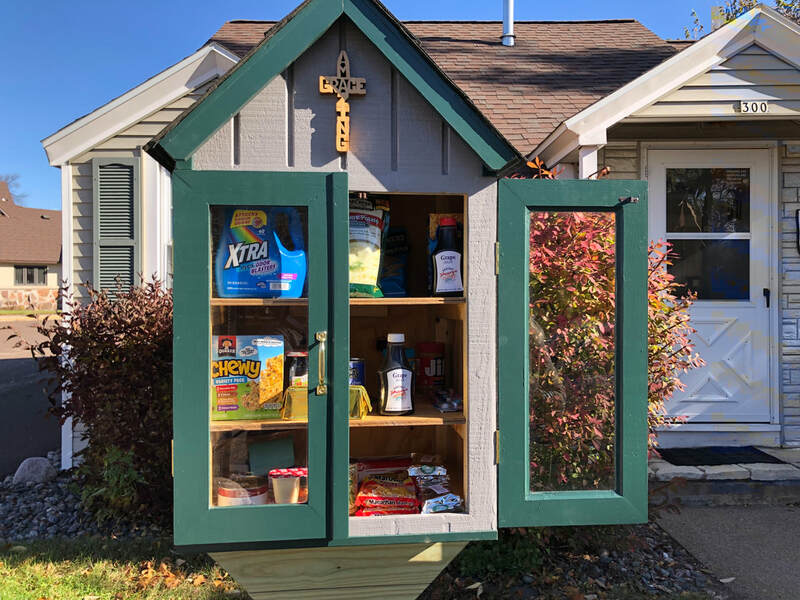 Our Little Free Pantry - a 2018 St. Francis Project initiative. Another service mission is the St. Francis project, which provides 'done in a day' volunteer opportunities as well as education on the issues that affect our community. St. Matthias' parishioners are encouraged to suggest ideas to the St. Francis Project and also to sign up for the projects that interest them. Many projects have turned into ongoing initiatives such as: meals to the local homeless shelter, a monthly Personal Products Pantry, an quarterly traditional Native American Mass, provision of cleaning supplies for new graduates of the homeless shelter, an annual pet food drive, and occasional presentations to the congregation during Adult forums. We also provide volunteers to local schools and organizations for their special programs such as Family Fun Day in Lac du Flambeau, Walk for Diabetes, and packing backpacks for Lakeland Sharing. After a conversation with the Superintendent at McNaughton Correctional Center, we found someone to provide spiritual counseling and found others to provide services on Saturday on their grounds. We sent a group to sing Christmas carols there for several years. If interested in the St. Francis Pro﻿ject, click here. © 2018 St. Matthias' Episcopal Church - All rights reserved. Let us know about website problems.